After confirm the total length of the rollers. It is required less expensive spacers to fill the space between the rollers. Normally, the wall thickness of the spacers are 10mm, some suppliers in China only adopt 5mm thickness tubes. While Believe Industry use 15mm wall thickness tube to produce spacers. It is obviously that thinner wall tubes is very easy deformed and finally affect the quality of the profiles. The inner diameter of the spacers should be a bit larger the outer diameter of the shafts. All the spacers should be marked. The most frequently used spacers are made out of one piece, and some times we also use Split Spacers. The split spacers can reduce the roller changeover time of various width profiles. Instead of removing the nuts from the end of the shaft, pulling out the roll forming stands, rollers, and also the spacers. it can be only loosen the nut around 20mm. The gap will enough to remove or replace the split spacers. The changeover time depend on the number of the rollers and roll forming stands, and also the experience of the workers. As a special roll forming machine part, the Shims are produced from hard thin plate. If is is possible, shims should be avoid. Because the shims can be easy fold, thus creat a space( double shim thickness) between the rollers. Finally affect the quality of the profile. The split spacers widely used in Purlin Roll Forming Machines, Channel Roll Forming Machine, Strut Channel Roll Forming Machine, which the section width is various. Believe Industry also have quick changeable roll forming mill for reduce the changeover time into the bottom. 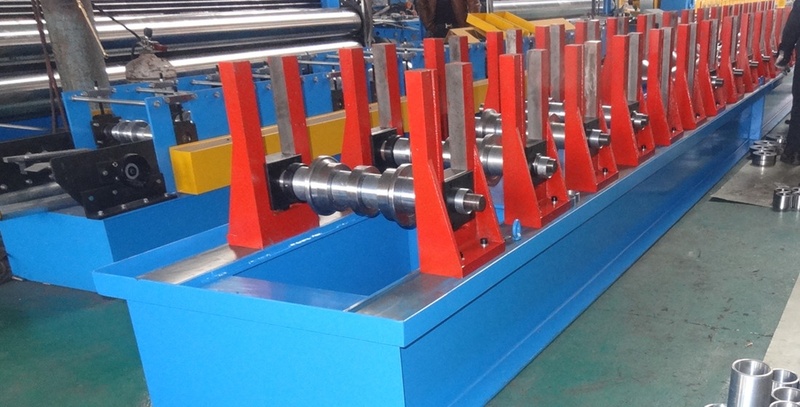 Besides of the spacers, the roll forming machine part is also include roll forming stands, rollers, side rolls, straighteners, etc. If you want to know more information of Roll Forming Machine Part, you also can visit Roll Forming Machine. or contact us now.